Tipperary’s Brendan Cummins has given a big indication he is considering retiring from inter-county hurling. 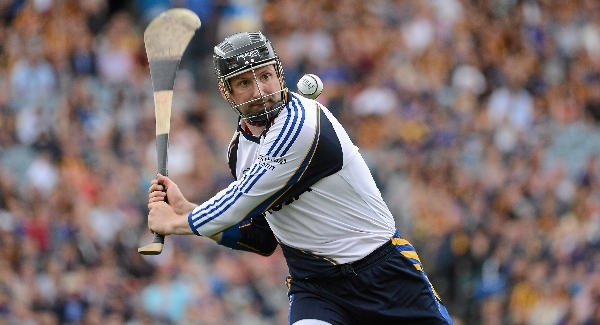 The all-time hurling championship appearance record holder will take more time out before making a decision. But speaking at the launch of the 2013 Poc Fada, a title the 38-year-old hopes to defend in Louth on Saturday week, the two-time All-Ireland winner admitted: “Declan Fanning was the best fella ever to get out — he got out on the steps of Croke Park. You could be around another 20 years waiting for that to happen. “I’d always said I wanted to go out with progression. Coming from Croke Park last year, we were a little bit disorganised to say the least, to go down to Nowlan Park and only lose by three points, so there has been that progression. The five-time All Star wants to spend time away from hurling before making a call on what he will do in 2014. Cummins shared goalkeeping responsibilities with Darren Gleeson this year before he took the number one jersey for the Championship games against Limerick and Kilkenny. He is mulling over whether he still has a role to play for the county. “You are always trying to weigh it up. On the other side you have to look at it and say ‘am I around too long?’ That’s the other question to be answered. “It is very easy to say ‘I can still contribute’ and ‘I feel great’ and the whole lot. But you must also remember is there another generation of goalies that needs to come on line now and Tipperary maybe need to start afresh. He has backed Eamon O’Shea to revive Tipperary after this season’s early Championship exit.